A versatile recipe of stretches, flow studies, breathing patterns, and strength and flexibility exercises are all presented in a fun, clear format that would work equally well in a private lesson situation or group rehearsal setting.. Through careful exercises, Sam and Patrick take you through every step along the way that you'll need to producing a larger, deeper, fuller tone on your instrument! If you're looking to become a better musician you must first learn to become a better breather. The first steps in this process is to learn to control your air, airflow and breath capacity while developing both strength and flexibility. This approach works for both singers and instrumentalists equally. Breathing as it relates to playing a wind instrument or for singing is a skill. The depth and speed of this type of breathing requires that it be practiced. For producing sound on a wind instrument or for singing we start with the movement of air which then creates some sort of vibration or in the case of a brass instrument we call that buzz which is then amplified by our oral cavity or by our instrument that creates sound. Now logic dictates that anything that interferes with our breathing or air movement is going to interfere with our sound. Therefore the study and practice of great breathing skills will allow us to have great musical sound. There are three things you have to have to be a good singer or instrumentalist. First of all, a great ear. An instrumentalist has to have great air and great embouchure efficiency. Singers on the other hand have to have great air, a great ear and great placement of the voice. These three ingredients loom very large in your success as a musician. 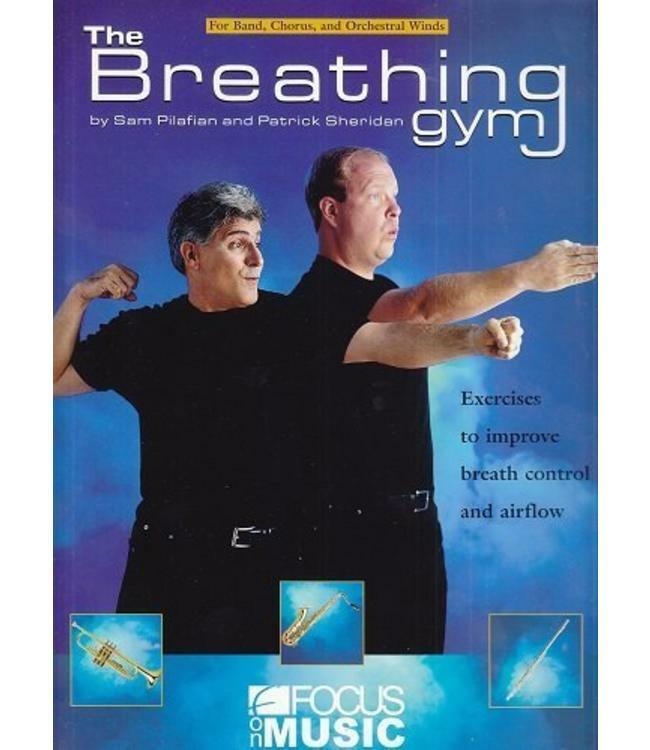 So join both Sam and Patrick in the Breathing Gym and they'll train you how to "Ride the Air Stream into the World of Music."